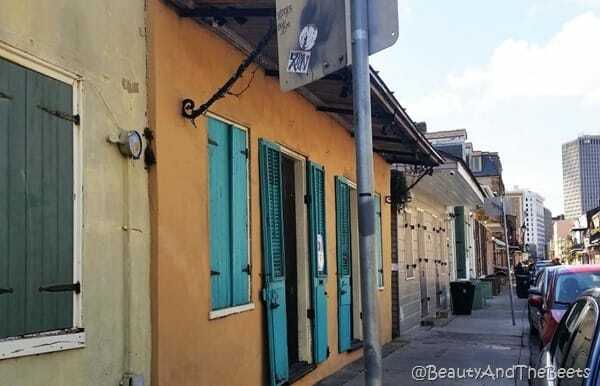 I had an adorable hotel room in the French Quarter at Hotel Villa Convento on Ursulines Ave, just a few blocks from the famed Bourbon Street. 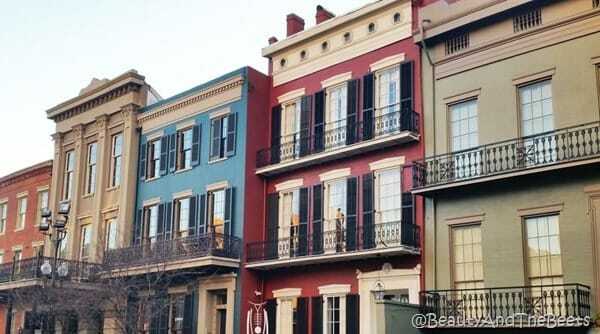 The hotel is rumored to be the basis of the legendary song House of the Rising Sun. 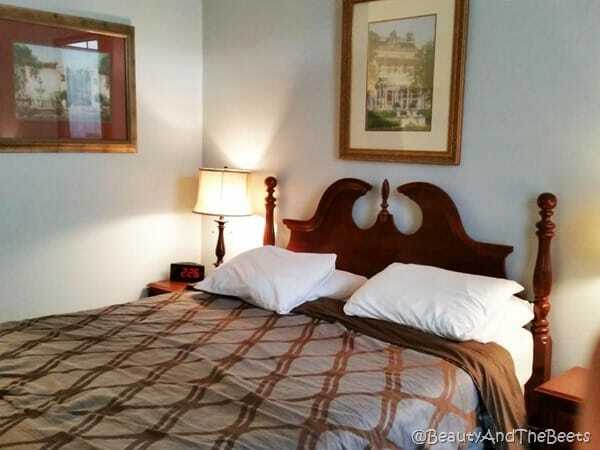 My room was tucked away from the main part of the hotel and it was small, but all I needed was a bed and a bathroom. How much time was I going to spend in the room anyway? 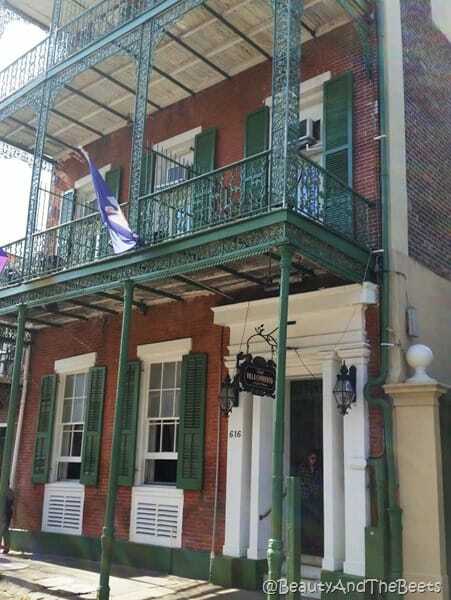 A few blocks from the hotel is Cafe du Monde, a famous spot for beignets and coffee. A little birdie (hotel staff) told us the earlier you arrive to the café, the smaller the wait time. We walked over about 8am and found plenty of empty tables…and by the time we left at 9am there was a huge line wrapped around the block. 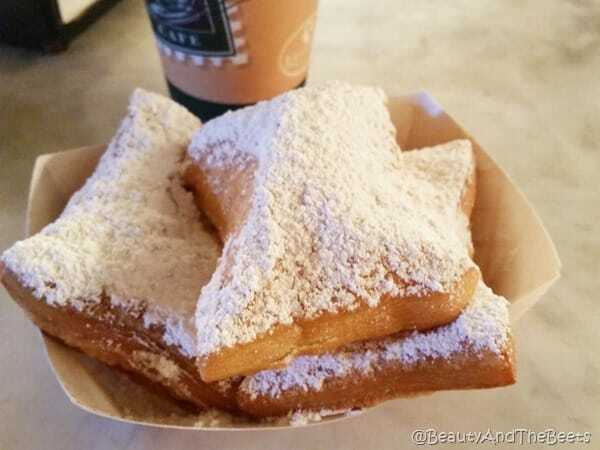 But even if you had to wait in line, those beignets are worth it. I had no agenda for exploring the city, my only plan was just to walk until I was too tired to walk anymore. 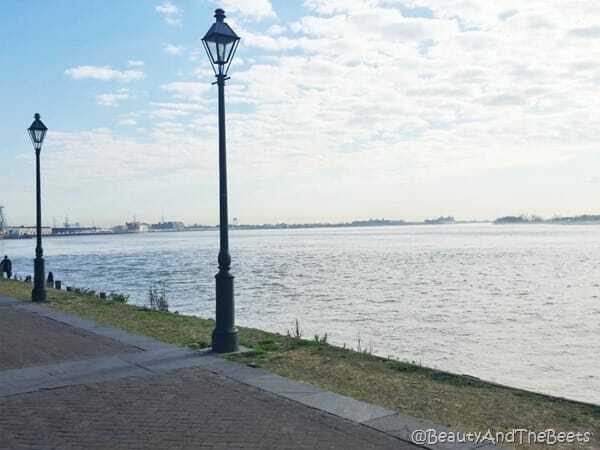 As I walked southwest from the café, I stumbled onto an area by the Mississippi River. There were plenty of benches to sit by the water and a walkway to take a morning run. 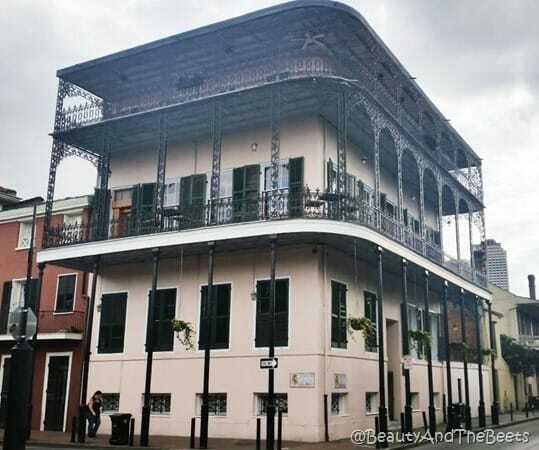 I also headed across the street into Jackson Square. 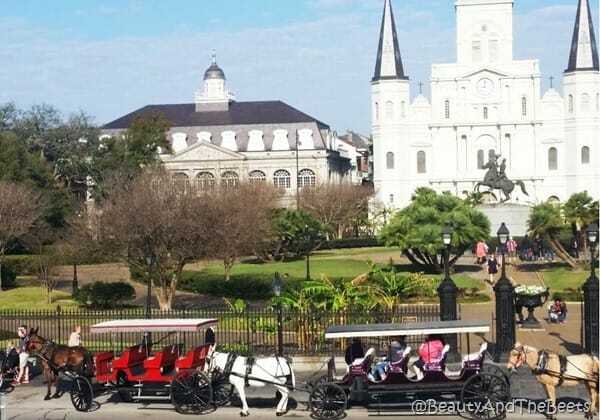 I thought about taking a horse and carriage ride but decided instead to just keep walking. 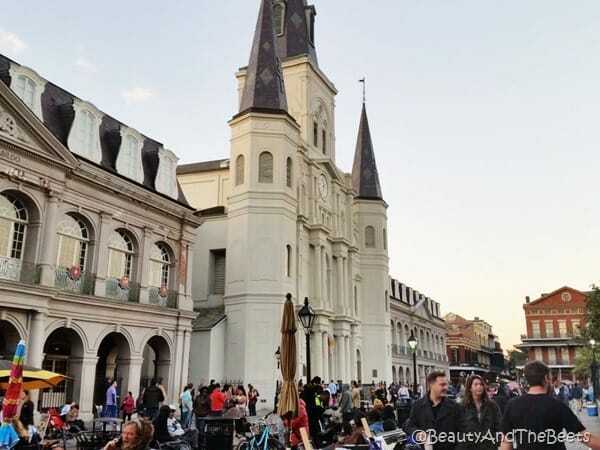 Jackson Square is packed with artists on the weekends, but during the week tourists flock here to check out the famous landmark, the St. Louis Cathedral. Though the church does offer tours, I decided to keep walking. 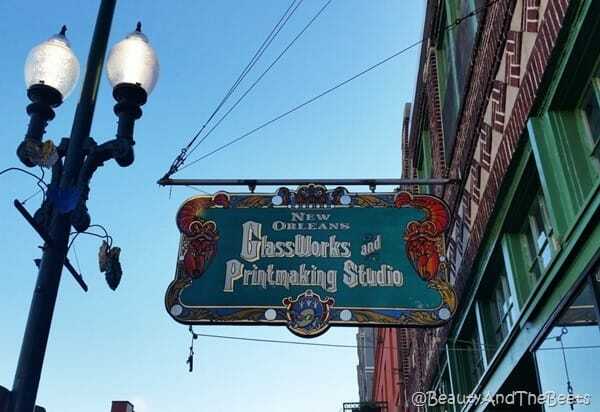 And even though I had loved our beignets at Café du Monde, I found another place called New Orleans Famous Beignets where I indulged in some more beignets. 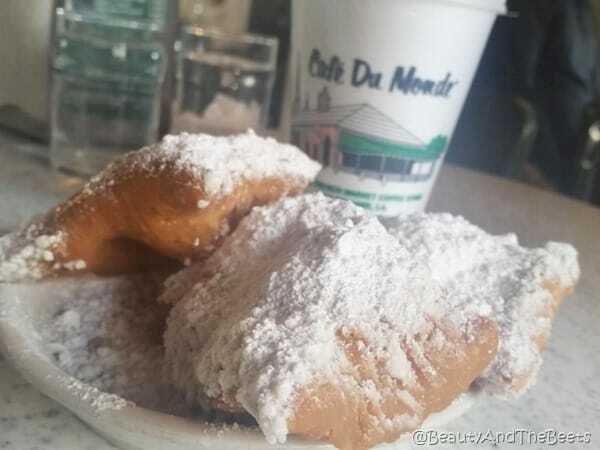 While they were good, they really didn’t compare to the yumminess of the Café du Monde version. I wandered into lots of artists’ studios and shops, but it was really the diversity of the architecture that was so interesting. 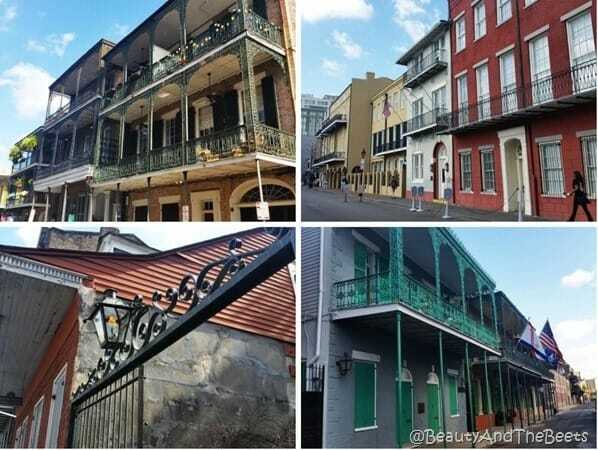 The entire French Quarter is primarily of a Spanish colonial and Greek revival style of architecture with the wrought and cast iron balconies the city is known for. 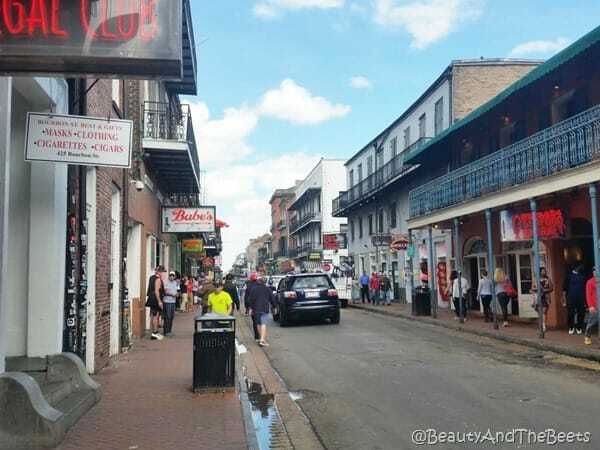 I did make my way over to Bourbon Street and was surprised at how quiet it was during the day compared to all the activity at night. 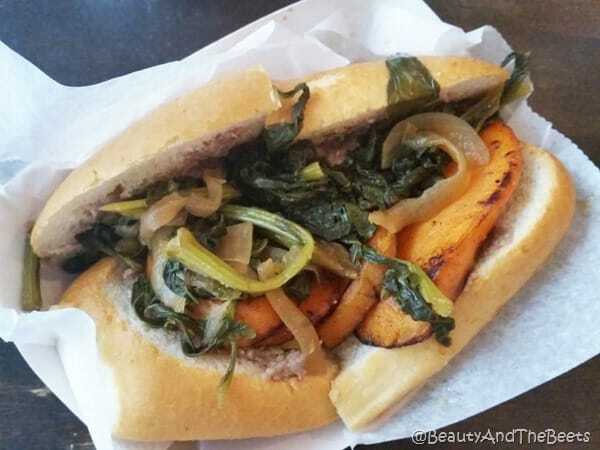 Lunch was an amazing Sweet Potato Po’ Boy from a place called Killer Po’ Boys. This restaurant was recommended by a local friend of mine and he did not steer us wrong. There were plenty of Vegetarian and Meat lover options. 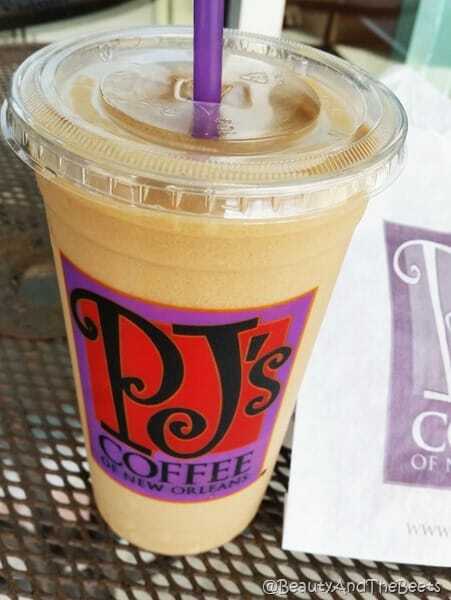 After lunch I found a coffee shop called PJ’s Coffee, a local institution. There I had to try the King Cake Velvet Ice. Though I never did eat an actual King Cake during my trip (the colorful cake famous during Mardi Gras), I did enjoy the coffee. 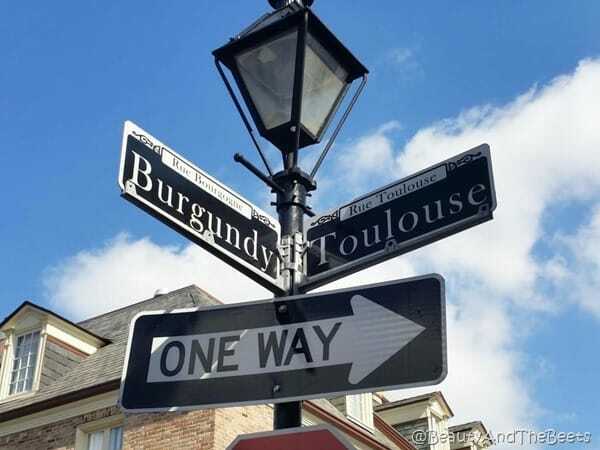 I then wandered a block north and headed east down Burgundy Street. Somewhere along the way I kept hearing someone repeating “Hello…hello…hello…” I found a bird behind a wrought iron wall talking to us. 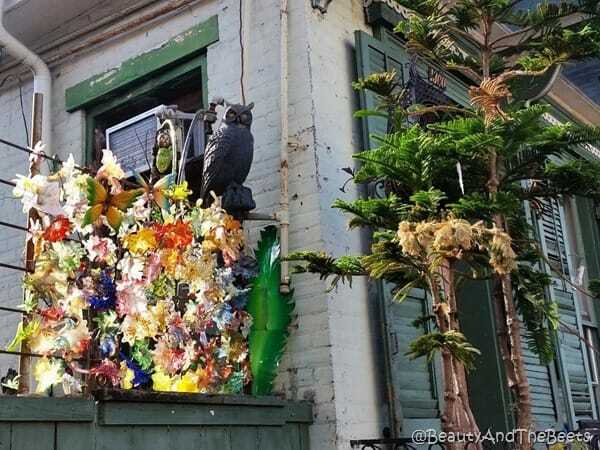 Her name is Iko and she is rather famous in the French Quarter. 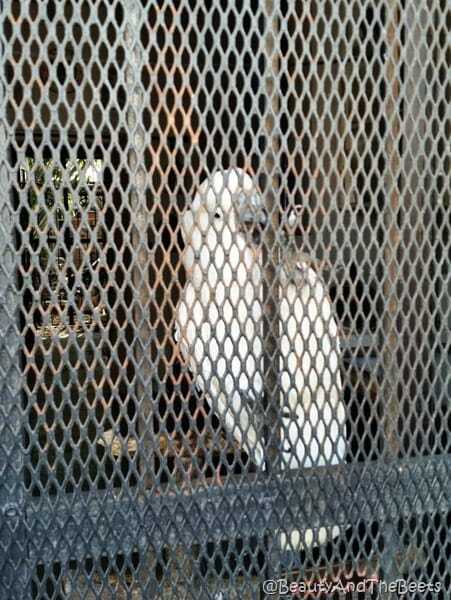 She is a 25-year old Cockatoo who will entertain passerbys until she gets bored with you. She will then bid you “Goodbye” which is your signal to continue walking down the street. 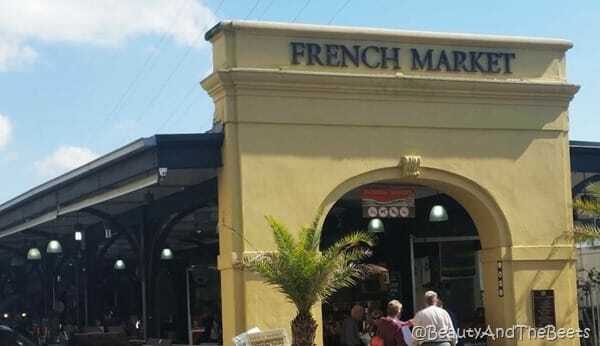 I walked over towards the French Market, an awesome collection of market and flea market stalls that span over a 6 block area. 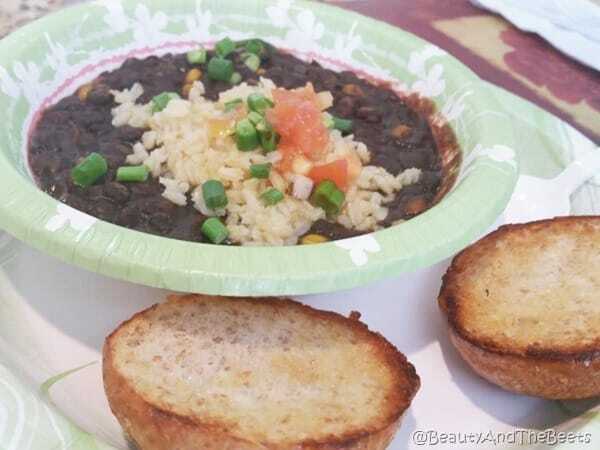 There I sat down at the counter of Meals From the Heart Café and enjoyed a bowl of black bean soup and found several spots that made the famous New Orleans praline. 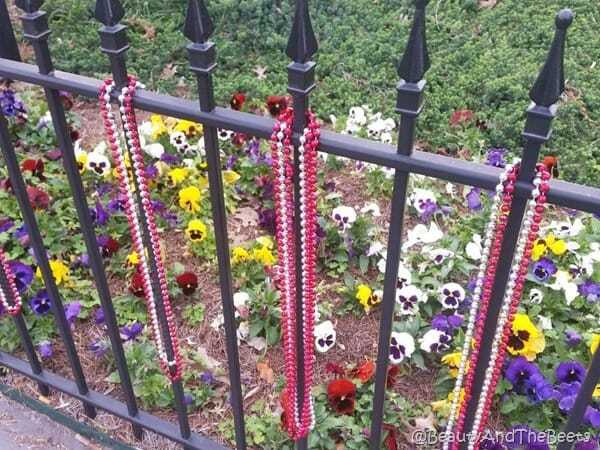 Evidence of Mardi Gras is everywhere in New Orleans. 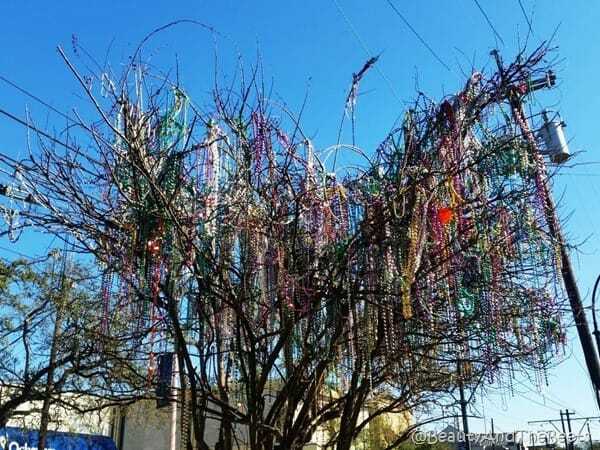 Beads are hanging from balconies, fences and even trees. 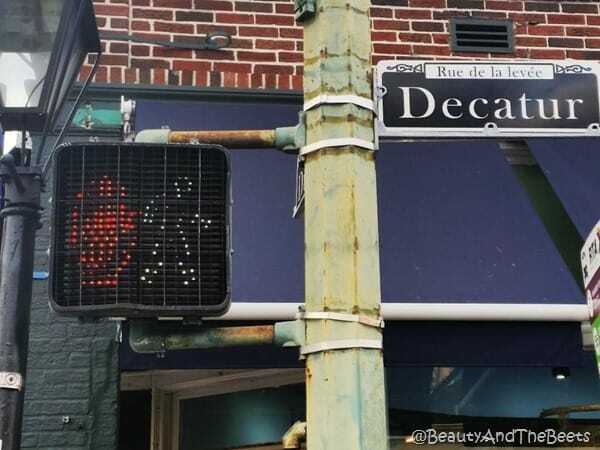 And the pedestrian signals confused me. What does this mean? Walk? Don’t walk? Proceed with caution??? 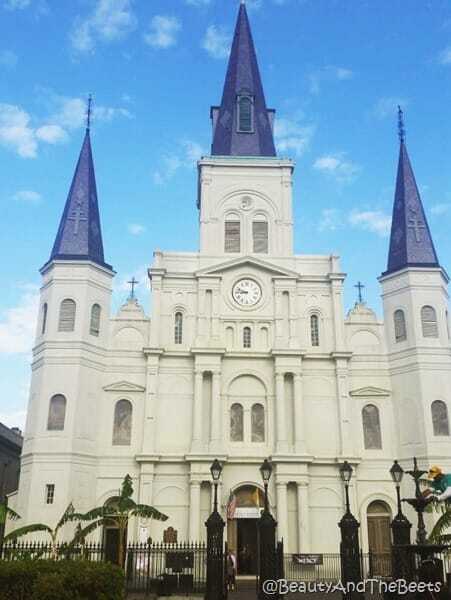 In the end I covered almost ten miles of walking, met a bird, ate some amazing food, had a King Cake (sort of) and enjoyed some cool architecture. 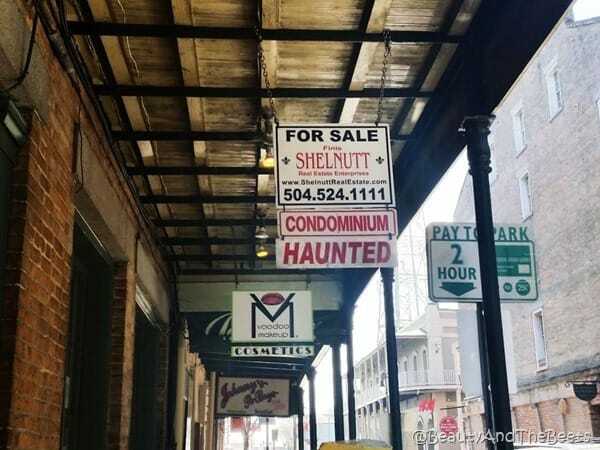 I even found some haunted real estate. To me this is the best way to enjoy a city. No agenda, no plans…just a comfortable pair of shoes and an open mind to wander. 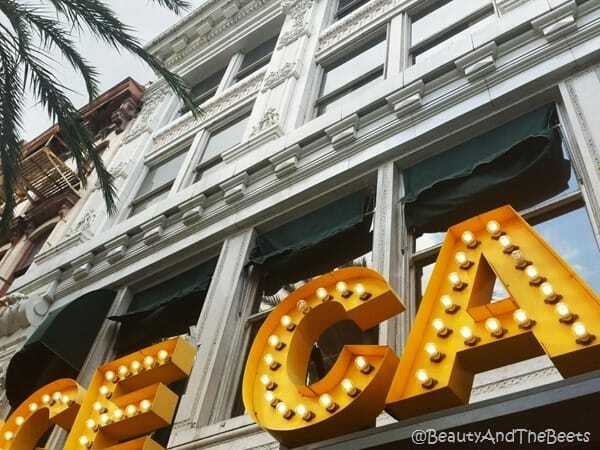 Have you been to New Orleans? What was your favorite site there? Great pictures. 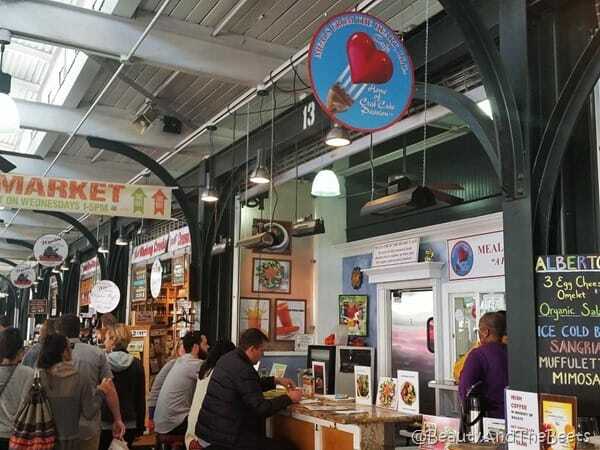 The one thing this city has is fantastic food that is for sure!!!!!!!! !